Rigid inflatable tender boat (RIB) is a light boat constructed with a solid, shaped hull and flexible tubes at the gunwale. 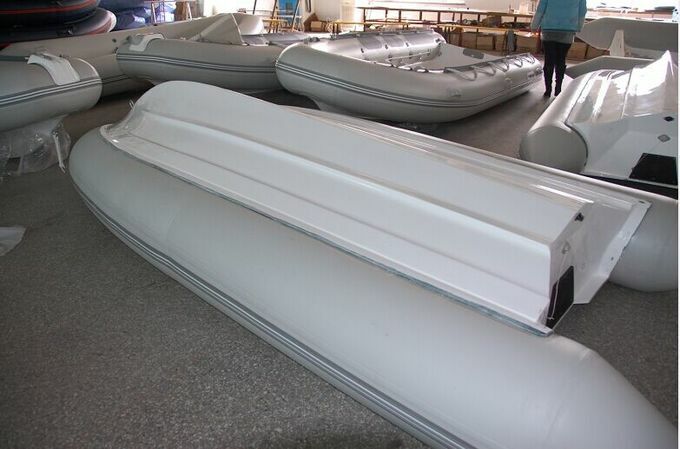 Featuring stable design, high performance and high capacity, it is a development of the inflatable boat. The inflatable collar allows the vessel to maintain buoyancy even if a large quantity of water is shipped aboard due to bad sea conditions. 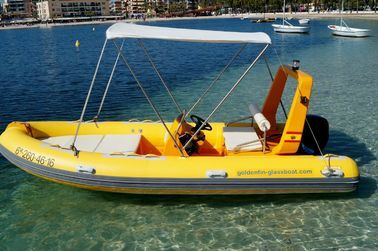 center console with cushions(including windshield,4 point switch ,oil gauge), seat box(with cushions and SS frame roll) , bow box,steering system,FRP light arch with navigation lights ,60L fuel tank, fiberglass stepend, boat cover , foot pump , Repair Kit . canopy , boat trailer , etc.